Waterproof fabric bag with sealed stitching and banding closure system with straps. Padded shoulder straps and easy to use hand loops on both long & wide sides. 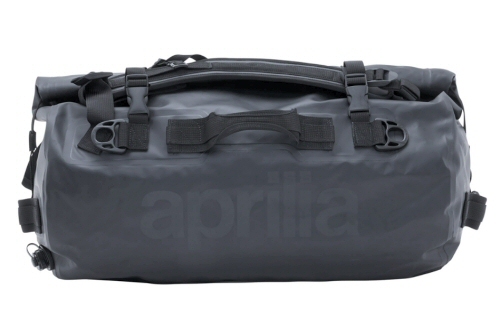 This bag can help you bring what you need on long trips. APRILIA printed on front side.